When law is treated as an exercise of sterile objectivity, one where vision matters less than procedure, citizens can best forget that they play any viable role. Seen through a naked prism of law and order, Ferguson, Missouri simply looks like black indignation against white order. While it would be deceptive to tarnish all arguments with the colour divide, it is unavoidable in parts of a country where authority and policing are inextricably linked to race. Slavery, after all, co-existed with enlightened notions of human equality for decades. But the concern from Goldstein’s side is that Obama was foolish to bring Michael Brown into his UN General Assembly address two months ago. America’s domestic scene is not worth mentioning in the same breath as other international incidents – we saw that constantly in the propaganda fronts of the Cold War. Jim Crow was the grandest of Achilles heels in the disconcerting slush about one person and one vote. The US could still proclaim civil liberties while many states within it kept segregation alive. Liberty need not be equal to be valid. Keep it simple. Had Brown been compliant, he would still be alive. (The fact that this point is hopelessly moot doesn’t discourage the commentator.) 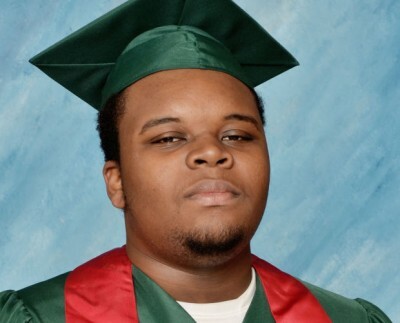 “Perhaps this young man would still be alive had he obeyed Officer Wilson’s commands. Perhaps this young man would still be alive had he not physically accosted Officer Wilson.” Perhaps Brown might be alive if the trigger thrill had not taken hold of Officer Wilson, or the blood mist cloud judgment. In US policing, which is now a pseudo-military affair, the citizen is the problem. Ditto Larry Thornberry, also writing for The American Spectator. “Michael Brown orchestrated the circumstances of his own death. He has no claim to our sympathy. He was not a victim.” Thornberry finds a monster before him – not the police officer but a person who “attacked and attempted to kill or do great bodily harm to a police officer who stopped him in relation to a robbery Brown had just committed.” A bit more than an accosting, it seems. With such logical argument, all thieves should be shot. Feel sympathy, instead, for Darren Wilson, who “had his life torn apart for the offenses of doing his duty and being white.” Colour arguments are everywhere, even when cloaked in the serenity of sound judgement. Rich Lowry, writing in Politico, similarly advances the astral suggestion that “if [Brown] had actually put his hands up and said don’t shoot, he would most certainly be alive today.” A sweet thought, Brown and Wilson, having a reconciliatory natter and breaking bread instead of playing with bullets in the act of “accosting”. Amicable thieves will not be shot by a heavily white police force in Ferguson if they politely request not to. Others seek the cool legal objectivity of the law as proof that the US legal system is ship shape. The grand jury handed down “an objective decision” based on all the evidence. So claims Ian Tuttle of the National Review. “All indications are that the St. Louis grand jury acted with nothing less than utmost scrupulousness and diligence.” Poor on sociology, Tuttle reduces the issue to fictitious flights of objective fancy. He ignores who was on the jury, their backgrounds, and their detachment from the black community. There was no institutional distance between the shooter and the shot. This reading verges on the archaic, a view of criminology so primitive it should be stuffed and cased. Wilson becomes the great exponent of decency in law enforcement, while Brown is deemed a spontaneously dangerous thug who got his just desserts. But Tuttle wants it both ways – the decency of the law, and the heat of the moment, where killing is warranted by the rather incautious arm of the law. Wilson exercised his judgment, if it can even pass for that, and killed Brown. Such individuals as Wilson need a free hand, a standard that would virtually make any killing by police forces legitimate exercises of control. The narratives of Ferguson have become flawed searches for villainy and purity. It was always in the script, drafted without revision. Vast swathes of the urban scapes in the US have become jungles of retribution and nervousness. The police see potential death everywhere, and treat the subjects of their protection as contrarian insurgents. They are now behaving accordingly, becoming the very object of disgust that the authorities desire, a view that life may be short, but brutishness dangerously long.